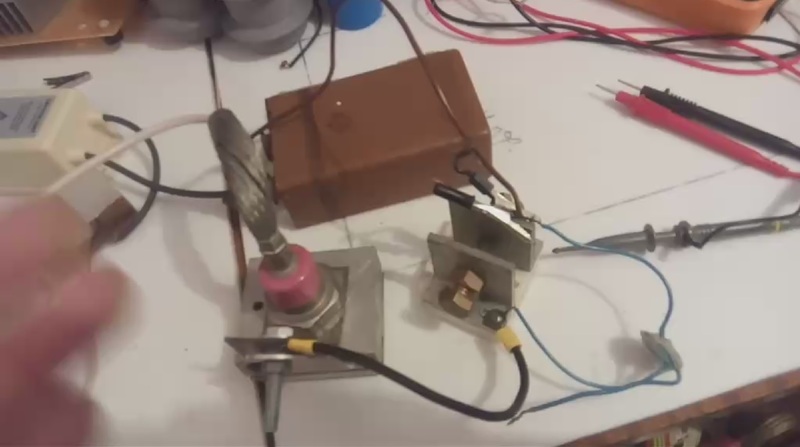 The author of the experiment — Dmitry S.
The scheme consists of two nonlinear elements: a piezoelectric element and a diode, and a linear storage capacitor. The non-linear characteristics of the piezoelectric element is set by the spark gap and the diode properties semiconductor junction. Once charged in the storage capacitor, the device can operate without an external power source 4-5 hours. In addition, in this experiment, very unusual readings on the oscilloscope: form, duration, and waveform composition. The following video shows the experiment layout and the indications of the oscilloscope. Further, the scheme of the experiment from the author. The cumulative capacity is depicted on the left — she is being charged once. 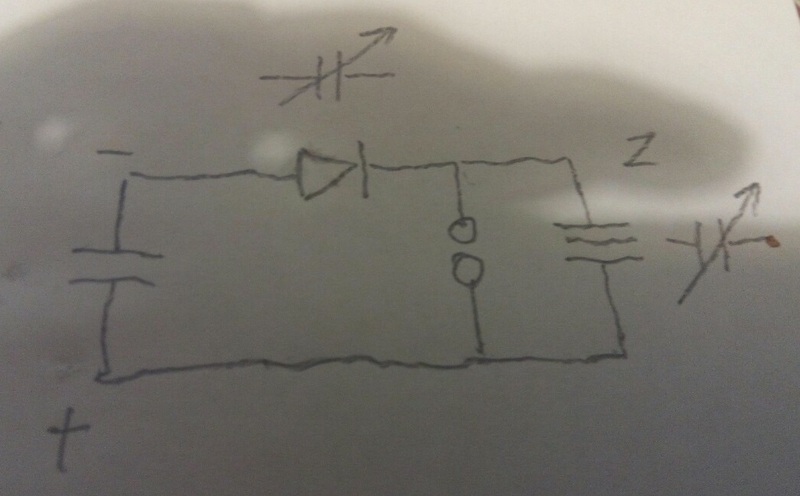 This is followed by the diode, a spark gap and piezoelectric element. The author uses as a diode a Soviet PM2 and warns that because of the unusual crystal properties of this instrument is to repeat this experiment with other diodes may not be suitable.